When our weeks are so jam-packed that the fast-lane looks like easy street, there’s nothing better than jumping in the DA and heading off for some chill time in Byron Bay. We arrive late afternoon Friday and, as always, head straight to the beach. In January, ex-tropical cyclone Oswald cut a devastating path through Queensland and hammered northern New South Wales on its way to rain on Sydney’s parade. 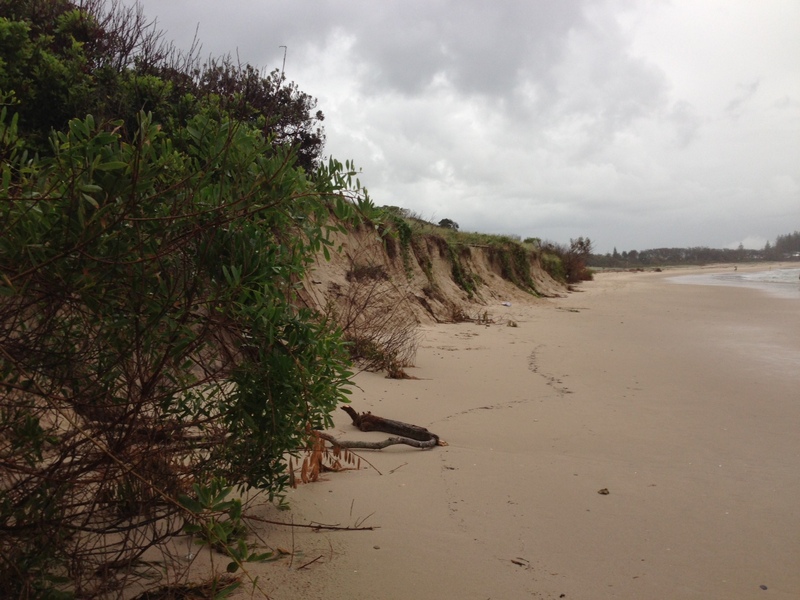 Ex-tropical cyclone Oswald leaves its mark on Byron Bay’s pristine shoreline. The evidence of Oswald’s passing hits us immediately. The sand has been effortlessly carved away, the beach is re-configured, swaths of coastal vegetation are gone. But today, it’s calm and raining gently – and the insanity of city life and relentless storms has slipped away. It’s one of those rare moments you just want to hang onto, when even the grey skies and persistent drizzle can’t dampen our spirits. If I was any more relaxed, I think I’d fall over backwards. Of course, the serenity can’t last. EB is already nudging me to get my runners on so we can do the lighthouse circuit before the light fades. Step aside Oswald… EB is a force to be reckoned with. 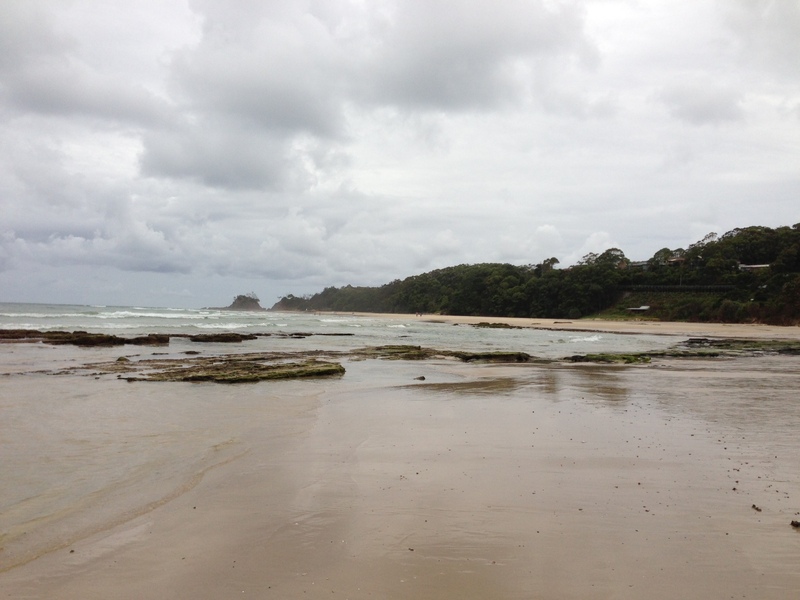 This entry was posted on Friday, February 22nd, 2013 at 10:37 pm	and tagged with Byron Bay, Cyclone Oswald, short breaks, vacation and posted in Australia, short breaks, Uncategorized, Wellbeing. You can follow any responses to this entry through the RSS 2.0 feed.